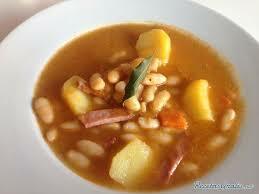 Sopa de Habichuelas Blancas - White Bean Soup - Tienditadepuertorico.com - Buy Puertorican Food Here!! olives, and tomato sauce. Cook over medium heat for 3 minutes. minutes, or until the rice is cooked.